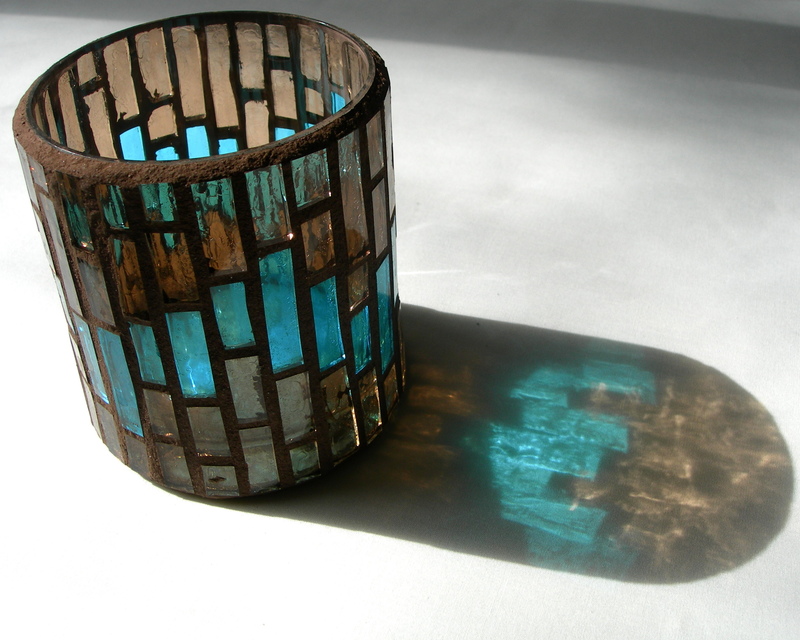 I’d never done a mosaic on a curved surface until this little tealight holder. Surprisingly, it wasn’t as scary as I thought it would be. All I had to do was restrict myself to smaller, longer pieces and I was away to the races. The pattern reminds me a bit of a sound visualization. Or the line on a heart monitor. Take your pick. Oh, and do you like the new photo style? I found a great white sheet at the thrift store to use as my background, and the sun came out just as I was taking this picture. Talk about good timing!